Jesse McDermitt lives alone on an isolated island in the Florida Keys where he runs a charter fishing business. Retired from the Marine Corps for six years, he wanted nothing more than to relax, fish, dive and enjoy the laid back lifestyle of the islands. Russ, his former Platoon Sergeant and old friend, dies unexpectedly in a mysterious scuba diving accident and Jesse becomes suspicious. 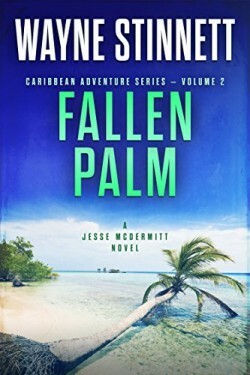 When his friend’s son comes to south Florida to ask Jesse if he would take him to a remote reef to spread his father’s ashes, the two men discover that Russ was murdered and agree to hunt down the psychotic killer together, unaware that their manhunt will lead them to a Caribbean terrorist cell. Meanwhile, a beautiful woman has returned to the Keys on a manhunt of her own, distracting Jesse with the idea that he could finally leave his warrior past behind. The prospect of finding lost Confederate gold, several high speed boat chases, and dodging demented killers, won’t stop Jesse from revenge. Surviving a powerful hurricane puts everything on hold as a top secret government agency tries to recruit him into their fold. When the sun comes back out, will Jesse be ready?